Two former Supreme Court employees have been arrested for posting wrong information on the court's website that the personal appearance of industrialist Anil Ambani was not needed in the over Rs 400 crore Ericsson dues case, which has now been settled. They have been sent to 7 days police custody. Former assistant registrars of the top court, Manav Sharma and Tapan Kumar, were arrested by the Delhi crime branch for allegedly excusing Mr Ambani from personal appearances in the court, sources said. The employees were dismissed after the wrong entry on the Supreme Court's website was detected and the case was handed over to the crime branch. On March 18, Mr Ambani avoided jail by paying Swedish telecom equipment maker Ericsson Rs 458.77 crore in dues a day before the Supreme Court's deadline. Anil Ambani then thanked his brother Mukesh Ambani for his "timely support" in paying the dues. 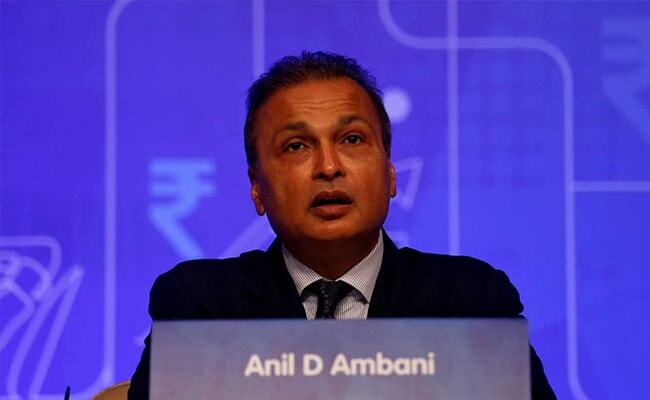 In February, the top court had ordered Anil Ambani's Reliance Communications or RCom and two of its directors to pay Ericsson its dues within four weeks or face a three-month jail term for contempt of court. Ericsson India had signed a seven-year deal with RCom in 2014 to manage and operate its network. Last year, it went to the Supreme Court against Anil Ambani's company over unpaid dues of Rs 576.77 crore. Anil Ambani had told the top court that with the failure of an assets sale deal with older brother Mukesh Ambani's Reliance Jio, his company had entered insolvency proceedings and was not in control of the funds. The assets sale was stalled after the government refused to provide immunity to Mukesh Ambani's firm from any past-payment liabilities. RCom had also told the court that it had tried to move "heaven and earth" to ensure Ericsson gets its dues but was unable to do so because of the failed assets sale. Ericsson had argued before the court that while the Reliance Group had the money to invest in the Rafale jet deal, it had failed to clear its dues, a charge which was vehemently denied by the Anil Ambani-led company. Anil Ambani's Reliance Defence is one of the offset partners of Dassault, the maker of the Rafale jets for which India and France signed a deal in 2016. The 36-jet contract is at the core of the opposition's allegations of corruption to benefit Anil Ambani; the allegation has been strongly refuted by the government, Reliance and Dassault and the Supreme Court also dismissed calls for an investigation.